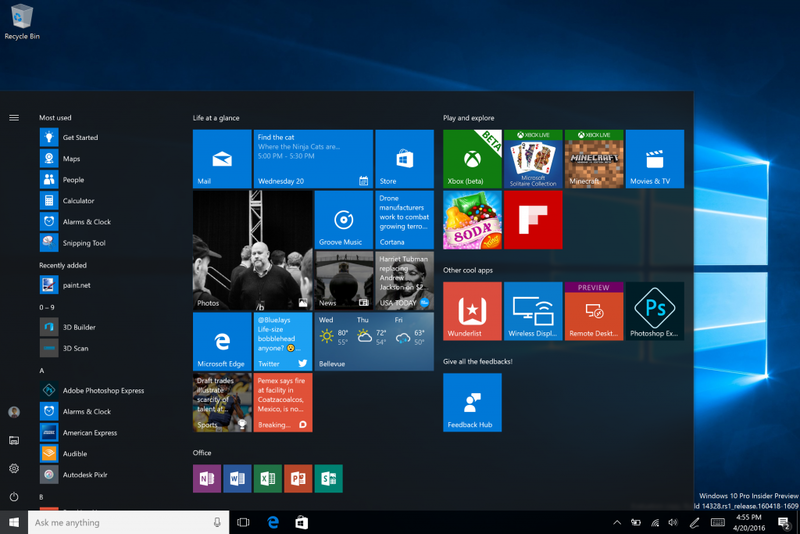 When Microsoft launched Windows 10 last year, it declared that the OS would be free to Windows 7 and 8.1 users until July 29, 2016, with a few exceptions. On May 6, the company reiterated this expiration date, possibly to address a rising tide of customers who were hoping for an extension. If you qualify for an upgrade but have not yet gotten a Windows 10 license, you'll need to go to Microsoft's website to get your copy before the offer expires. You don't have to install the upgrade right away, though. Microsoft provides a free tool that will download a version of Windows 10 that you can burn onto a blank DVD, Blu-ray disc, or USB thumb drive, any of which you can use to install the OS whenever you're ready. This version of Windows 10 does not come with a product key, but if you use it to upgrade before July 29, you won't need one. If you already have a product key for Windows 10, you can use it with this version at any time, because that key does not expire. If you previously installed Windows 7 or 8.1 from a retail disc (or you purchased Windows 8.0 at retail and installed the free upgrade to 8.1) and you install the free Windows 10 upgrade, then you effectively have a retail copy of Windows 10. You can use your product key to install Windows 10 on a different machine in the future, as long as you remove it from the old machine first. However, if Windows 7, 8.0, or 8.1 came pre-installed on a computer you bought, then you are limited to the OEM license and can't transfer the Windows product key to another computer. You can't upgrade directly from Windows XP or Vista to Windows 10; you must purchase a copy of Windows instead. Installing Windows 10 on such a machine requires erasing the drive that contains the old version of Windows, so before you do anything, back up your files to an external drive and/or the cloud. You will basically be starting from scratch. Windows XP users cannot directly upgrade to any version of Windows 7 or 10. Vista users can directly upgrade to Windows 7, then upgrade to Windows 10 for free, as long as you do so before July 26. However, if your Vista is 32-bit, you cannot install the 64-bit version of Windows 10 without wiping the drive first. Your alternative is to install the 32-bit version of Windows 10. This version is unable to use more than about 3.5GB of system RAM. The good news: websites like Amazon are still selling legit OEM versions of Windows 7 for around $50, so getting Windows 7 and the free Windows 10 upgrade now is cheaper than buying Windows 10 outright. This cheaper version of Windows 7 is 32-bit, but the 64-bit Windows 10 installer will accept this product key.